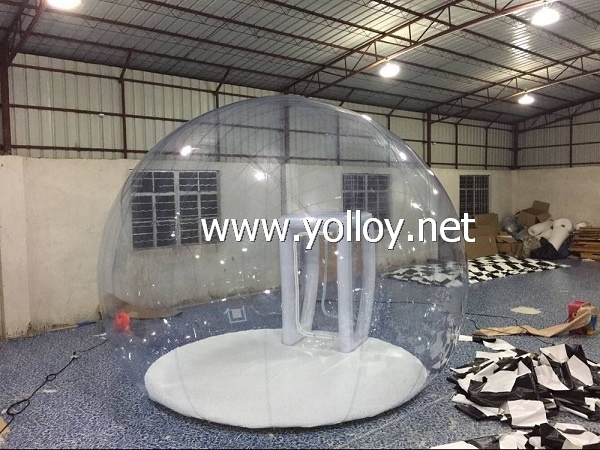 For inflatable snow globe, it can be used for party exhibition and holiday decoration. We made it in Commercial grade Clear PVC and PVC tarpaulin ,which is high durable. And we will make it by double stitch and four fold stitch at the point stress point. And we will offer CE and UL blower.This inflatable slide can be used in house, backyard, public, hotel, birthday party, school, amusement park, kindergarten,festival activity, advertisement, promotion, rental, etc. A. We test each product to ensure the unit seamed exactly well. B. We provide repair kits for repairing in case. C. We will guide you to repair the product within its whole life. Customized can be acceptable.If any requirements, pls feel free to advise us. Or if you have a sketch and some special ideas, you also can share with us, we would like to work with you for perfect inflatable items you want.